This isn’t so much a new recipe, just a twist on my raw cacao surprise bites recipe (see the recipe here) and a fun idea for entertaining your guests. 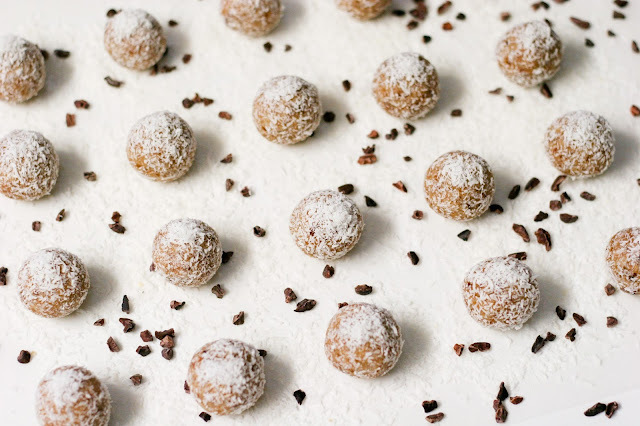 These raw coconut balls have a lovely balance of sweet and salty and are filled with crunchy raw cacao except one or two balls have cayenne pepper and/or chilli flakes for a surprise fiery kick! 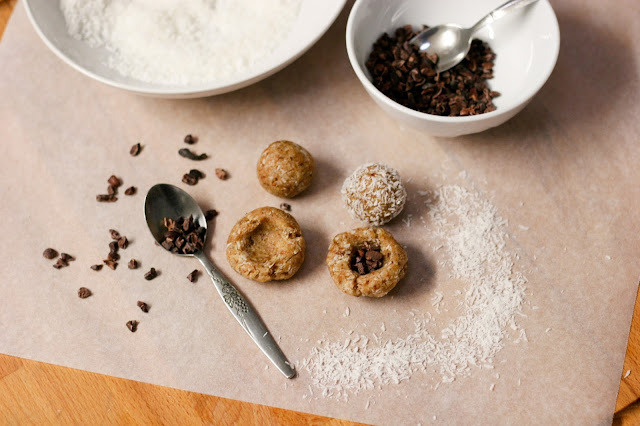 Take a chance with each raw coconut fire ball! Every guest takes a chance each time they grab a ball! You can add as much or as little cayenne / chilli as you like or however much you think your guests can take. If you wanted to be really mean, you can use wasabi paste instead! 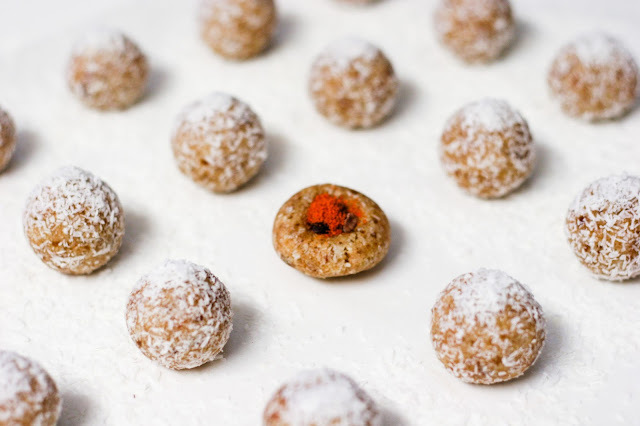 Raw Coconut Ball Roulette – which is the fire ball? iherb now offers free shipping to Australia. fill your surprise balls up and add some cayenne, chilli flakes or wasabi to 1 or 2 balls for a game of roulette! you can put the fire balls in a separate container so you don’t get confused and accidentally eat it yourself! you can put the fire balls in a separate container so you don't get confused and accidentally eat it yourself!